Six Biohacks that Boost Vagal function to Reduce Chronic Inflammation, Increase Energy and Lower Stress levels. - Radiant Reality | Nutrition. Healing Arts. Inspired Living. If you are perfectly healthy, you might be asking, how does this affect me? The truth is that, vagal nerve function is important to everyone in this day and age. 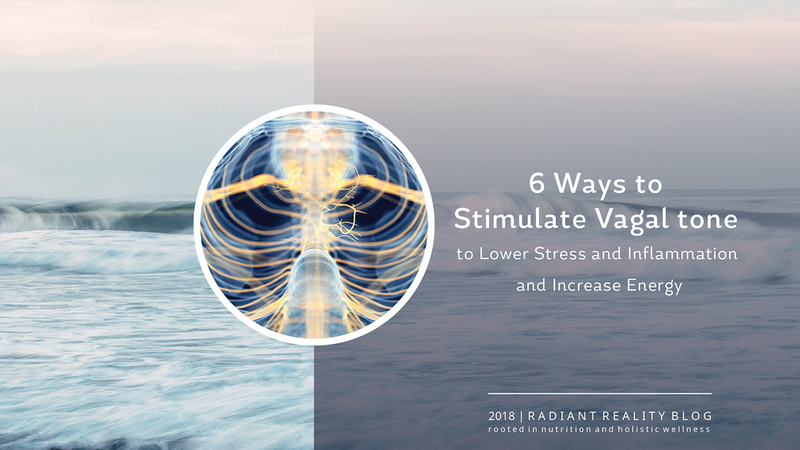 Even if you are incredibly healthy, it is possible to lower your stress levels rapidly and operate with more consistent energy with high vagal tone. This nerve is known as the “wandering nerve” specifically for its wide reaching effects as one of the 12 pair of cranial nerves within the sensory somatic nervous system. The 10th cranial nerve travels down the neck, across the chest and through the abdomen. This nerve carries information to and from the brain regarding the function of our organs, most specifically the digestive tract, stomach and intestines, lungs, heart, spleen, liver and kidneys. In the brain the vagus nerve effects anxiety and depression and new science suggests that the vagal nerve may also be connected to receptor networks for oxytocin, the neurotransmitter involved in feelings of safety and trust. Slow digestion - Your migrating motor complex moves food throughout the intestines with wave like muscular contractions. When vagal tone is weak, so are the peristaltic contractions ending in slow digestion. Acid reflux or GERD, bloating or constipation. Inability to relax, trust and connect. 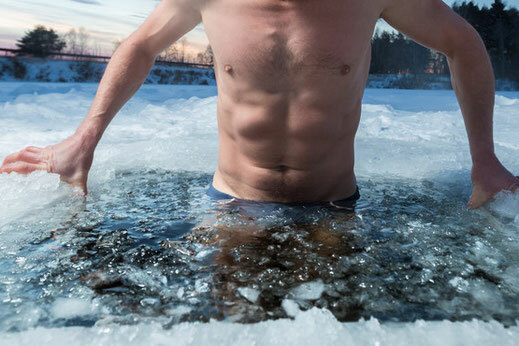 If you are a biohacker or have read some of the work of the biohackers of this day and age, (Dave Asprey, Wim Hoff and Dr Jack Kruse to name a few), cold thermogenesis is probably something you are aware of or have tried. The beauty of cold thermogenesis is that acute cold exposure will stimulate the vagus nerve. Research shows that your sympathetic system (fight or flight) decreases when your body adjusts to cold while your parasympathetic system increases. This leaves you feeling very relaxed and refreshed. If Wim Hoff can sit in deep meditation on an ice cap in the north pole in nothing but underwear, you can do it too, but start very slowly! One easy way to start is to simply dunk your face into ice cold water for a vagal tonifying experience. It is always smart to gradually increase your exposure to the cold so as not to overdue the exposures effects. If you are feeling bold, get into a cold shower for at least 30 seconds to stimulate cold thermogenesis. Dave Asprey covers this topic in his latest bestseller “Headstrong”. Deep breathing can be used to stimulate your vagus nerve by promoting physiological balance (homeostasis) within your autonomic nervous system. It also effects your HRV (heart rate variability) favorably. While there are many yogic breathing techniques, one of my favorite ways to stimulate vagal tone is by breathing in to the count of 5, holding to the count of 5, breathing out to the count of 5 and waiting to the count of 5 before breathing back in. 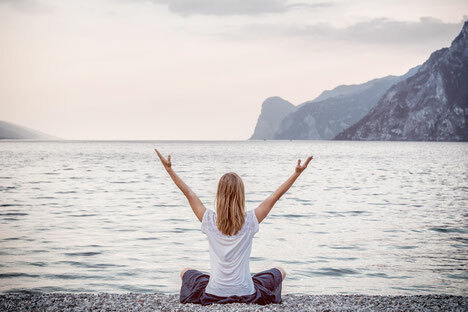 Rhythmic breathing such as this will stimulate your parasympathetic nervous system and lower stress levels while also stimulating your vagal tone. Also known as “modulators of the microbiota”, certain probiotics can improve the feedback loop of the vagus nerve and the gut/brain axis. Strains such as L Rhamnosus has been shown in studies to have anti depressant-like effects and influence GABA receptors which are calming to the parasympathetic nervous system and are mediated by the vagus nerve. Research has also found that bifidobacterium longum normalized BDNF (brain derived neurotropic factor) and anxiety-like behavior in mice by acting through the vagus nerve. It has been said that the gag reflex is like doing push ups for your vagus nerve. This practice is super easy to do at night before bed. 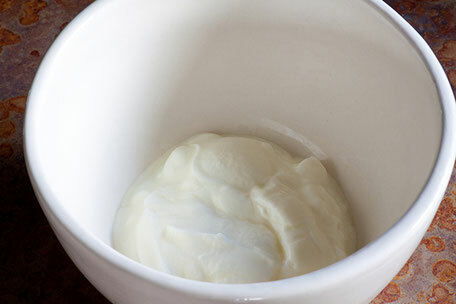 After brushing teeth at night, implement an ayurvedic tradition of scraping your tongue with the spoon. If you start at the back of the throat you should be able to stimulate a gag reflex. Tongue scraping has a dual action. The first stimulates your vagal tone and the second action is viewed in Ayurveda as a means to clean the digestive system by scraping “amma” or waste off the tongue. This practice “kills two birds with one stone”, if you pardon the expression. The neurotransmitter Acetylcholine is the main vagal nerve neurotransmitter and stimulates muscle contractions in the parasympathetic nervous system. Acetylcholine also decreases the release of inflammatory cytokines. Nootropics such as huperzine improve the sensitivity of the acetylcholine receptor. Alpha GPC is well known for its ability to increase acetylcholine. Ear acupuncture has been shown to stimulate the vagus nerve, increase vagal activity and vagal tone and can help treat neurodegenerative disease. 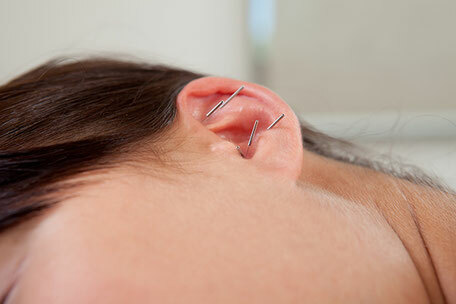 Auricular acupuncture is able to help support vagal homeostasis by stimulating the autonomic nervous system. Electroacupuncture is also used in clinical acupuncture as a means to stimulate and strengthen vagal tone.